If you like skateboarding and longboarding then, you know that equipment is important for your safety and comfort. Since your hands will be busy with keeping your balance, wearing a backpack is recommended especially during skateboarding. But there are many types of backpacks out there and it might be difficult to choose the right one. The following tips will help you identify the best skateboard backpacks and decide what will work for you! When you are shopping for the best skateboard backpacks, there are several aspects that you need to consider. You will make an investment that can last for a long time if you choose wisely and informed. Before anything else, you need to decide what you will use the backpack for. You can use it for skateboarding and longboarding exclusively or have other activities. Some backpacks come with more pockets which makes them more adaptable to several purposes. If you plan to carry your laptop around, choose one that has a generous space inside. The best skateboard backpacks will be very functional and lightweight. After you decide what you will need it for, look at the ones that fulfil as many of your needs as possible. Budget is important when you are shopping for a backpack. You can find a wide range of them from cheap to more pricey ones. If you want a backpack that will last you a long time, you might not want to get the cheapest one. But if you think that you will not use it much, there is no need to get a pricey one. ​You might care for the style and design of your backpack in particular. However, try not to put this on top of the quality and functionality of it. The market offers a variety of quality backpacks that come in different colours. You can choose to have a backpack made of one colour or a combination of colours. Make sure to check all the other needs first before you decide how you want it to look. Also, if you want a casual backpack, the style has to suit many situations. Dakine makes some of the best skateboard backpacks for a variety of users. They are affordable and resistant which are two great qualities. You can use this backpack on a variety of occasions such as skateboarding or casual meetings. You can even take it with you at work or during a trip. While it is not the cheapest on the market, it is not one of the most expensive backpacks either. It makes it affordable for users at any age. Also, this backpack is made of 100 percent polyester material. It provides you with two large exterior pockets. The pockets are very useful during skateboarding. A small exterior pocket is incorporated as well. When it comes to the inside, this backpack offers a multi-functional pocket. It comes in two versions of colour and is resistant to impact and potential accidents. 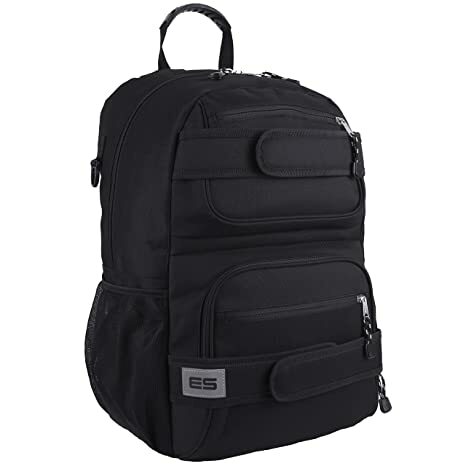 This Eastsport Backpack is a great choice when you are on a budget. 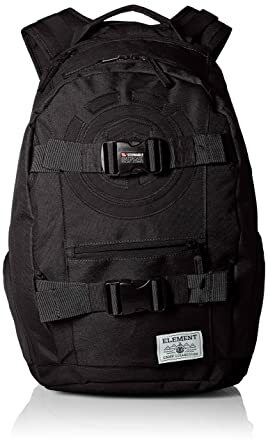 It is one of the most affordable backpacks for little investment. The material that this backpack is made of is polyester. It makes it very light and easy to carry. You can take it with you during your sports days or casual meetings. The dimensions of this backpack are 19" by 13" by 8.5". It comes with an oversized main zip compartment. It is great for carrying your laptop and other devices inside. The important aspect is that you can use this backpack for other activities as well. It is very adaptable and comfortable. It has a rubberised top handle and ultra padded shoulder straps. The Eastsport backpack comes with a lifetime guarantee. This backpack comes in one size, but it is easily adjustable for different wearers and styles. It is made of resistant 100 percent polyester lining and has a zipper closure. The Element Unisex Mohave Backpack also comes with functional pockets inside and outside. The price is affordable, and it can last for a long time if it is well maintained. This backpack is better for skateboarding and longboarding rather than casual meetings. It allows you to choose from a variety of colours which makes it very popular. And the price range is affordable for most skateboarders. Not to mention that it has a unisex style. This makes it easier to trade with your friends if you want. Unisex backpacks are very modern nowadays and many prefer them to the rest of the products. 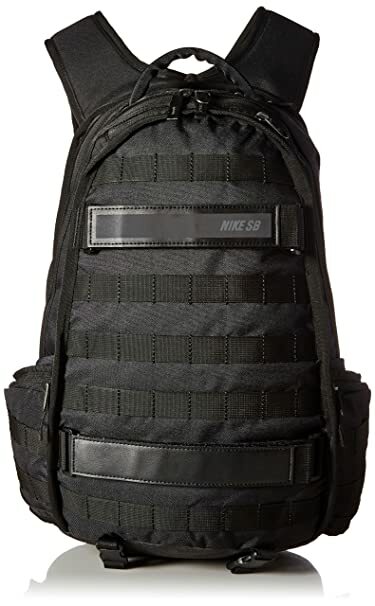 This Nike backpack is one of the best skateboard backpacks on the market. And there are many reasons for it. It is made of 100 percent polyester material. Also, it provides a generous space for carrying several items inside of it. Even if it might not be the cheapest on the market, it is a high-quality backpack. Nike is a popular brand known for its products worldwide so you can’t go wrong with it. The curved shoulder strap provides a comfortable fit for the wearer. This backpack comes in a variety of colours to satisfy as many preferences as possible. The dimensions are 21" H x 13" W x 6.5" D, and it comes in one size. A great advantage of this backpack is that it is made of water-resistant fabric. It makes it more reliable than other similar products. The Burton Kilo Pack is great for a variety of sports and activities. You can carry this one around during a skateboarding session or simply on a casual day. It is made of 100 percent polyester material and has a high resistance over time. 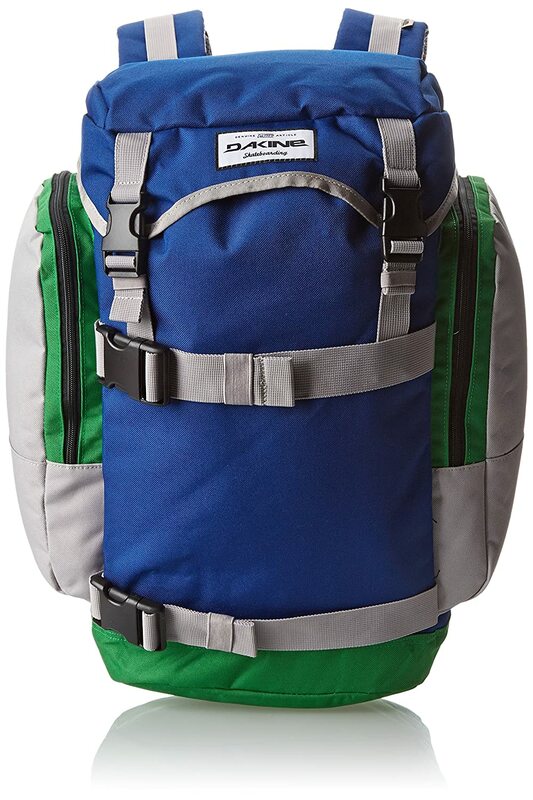 The dimensions of this backpack are 17.5in x 11.5in x 6in Volume: 27L and it comes in one size. Buyers can pick from a multitude of colours and styles. 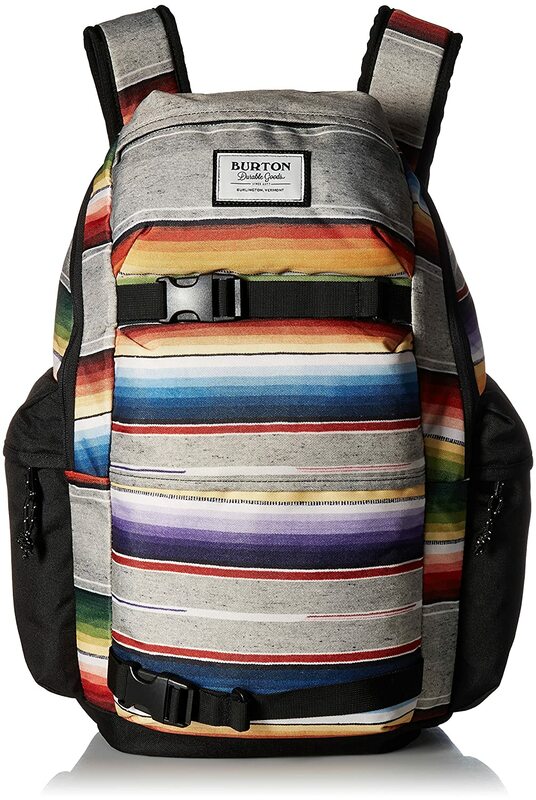 What is even better about the Burton backpack is that it comes with a lifetime warranty. It has cushion ergonomic shoulder straps that can be adjusted to the wearer’s body. Shopping for the best skateboard backpacks is not a difficult task as long as you have the information you need. Be a rational buyer and consider all the aspects before making your final decision. A quality backpack will make your skateboarding session a quality one as well. While the material of the backpack is important, the number of pockets and comfort of it are as well. Also, you can carry your backpack around on a casual day as well so make sure you consider that. Once you set up your mind, your new backpack will make your life a lot easier and more comfortable! So this post will be very much helpful to select the best skateboard backpack for you.